The time has come to adorn your home with throw blankets. They're the key to remaining cozy on a cool fall evening and when winter finally makes her appearance. Brahms Mount is one of our favorite labels when it comes to home comfort in the form of blankets and throws. They know how to get their weave on! This fall, they introduced the world's softest wool blanket ever. 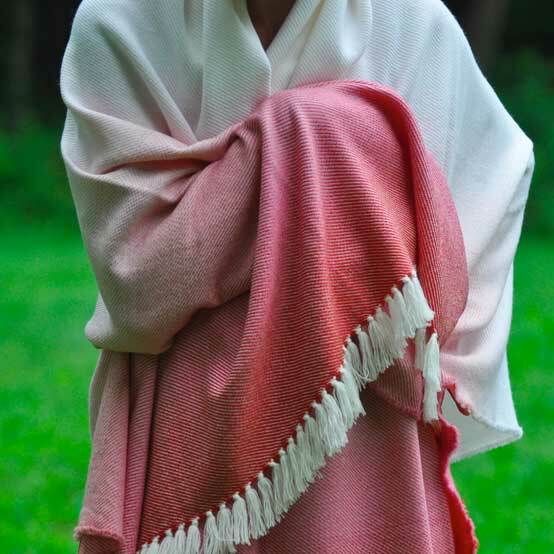 It's called the Ombre Throw, and we just happen to have a few lying around for you if you're interested. The Ombre Brahms Mount Throw is made from an outstandingly fine micron wool yarn with a sophisticated weave pattern. It comes in a wide range of colors that start out strong on the edge and then slowly fade to a neutral color in the middle. We recommend purchasing one for each bedroom. They are a great blanket to have on the edge of the bed for those evenings when you need a little extra coverage, but aren't quite ready for the full down experience yet. They are an attractive, colorful accent folded on the back of your couch or a favorite reading chair. You may want one or two at the ready on your porch rocker or on the perfect star gazing lounger. Don't let another fall go by without a Brahms Mount throw at the ready. You'll wonder how you ever lived without it. Contact Didriks for assistance selecting bedding and blankets for fall and winter.